Book Four delves into the Aztec’s complex astrological beliefs. The date of birth was so significant that it ultimately determined one’s personality and future; for example, almost all born on the second day sign—called One Ocelot—became slaves. 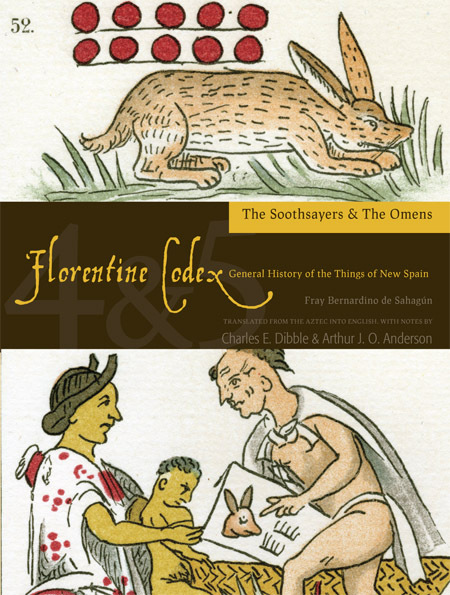 Book Five explains the meaning of the many evil omens Aztecs believed in, which usually took the form of animals and insects. It describes the consequences of each omen and the remedies, if any, that will reverse these effects. 12. In which is related what was another omen, whose name was "bundle of ashes"